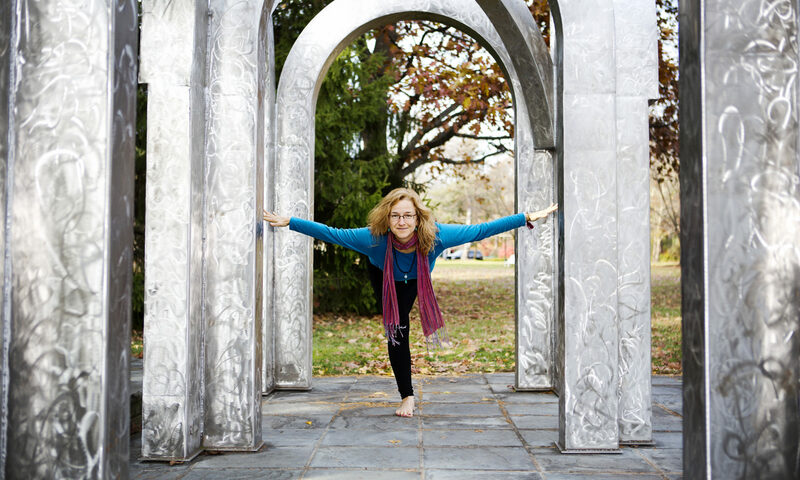 Jenn McCullough began her yoga journey 20 years ago when she stumbled upon a local class offered in her then home, Charlottesville, Virginia. All it took was one class to convince her that yoga, unlike other exercise programs, was an incredibly beneficial practice that incorporated not only the body, but the mind and spirit, as well. She immediately felt the physical tightness in her body melt away after a few simple stretches. The opportunity to be still and to quiet the mind allowed her to relax and feel completely at peace. Jenn was an elementary special education teacher when she started practicing yoga regularly and found that the benefits helped reduce her physical and mental tension not only “on the mat”, but also in her classroom and daily life. It became apparent to her that the teachings of yoga are relevant to all people and should continue to be shared. 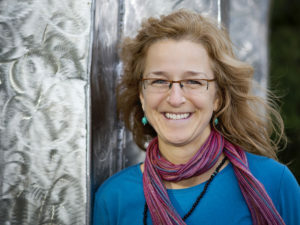 Ultimately, her love for teaching and yoga converged and she began teaching yoga formally. Jenn received her yoga teacher certification at Bhumi’s Yoga and Wellness Center (visit www.bhumiyoga.com) which is recognized by the Yoga Alliance, an organization that sets standards for teacher certification programs. Her practice includes: a personal yoga and meditation routine, teaching focused yoga and meditation workshops, teaching on-going classes to a wide range of practitioners at various locations throughout Toledo, and facilitating the first Mindfulness Program in Toledo Public Schools. She gears her classes toward the students’ needs and interests and welcomes people of all ages, backgrounds and abilities. Her teaching style includes principles and methodology from various Hatha Yoga traditions including: Ashtanga, Kripalu, Iyengar and Bikram. Jenn also draws from her experience as a practicing Zen Buddhist.